Crystal Balls are tricky things to make and are made from high quality optical glass. Because the ball must be flawless many have to be discarded after production. The larger the ball the more likely a flaw can develop, hence the larger sizes are dis-proportionately more expensive. Each one is securely packed in the box. 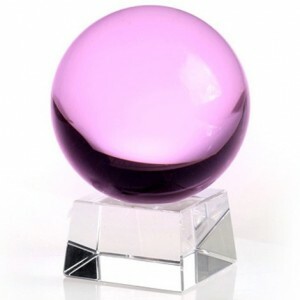 All crystal balls supplied with a stand. Each beautifully packed in a presentation box. The boxes themselves are strong with padding inside.